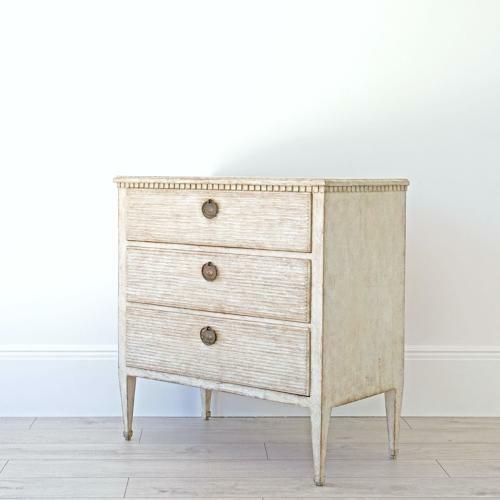 A very handsome Gustavian style chest with a dentil tooth frieze, decorative reeded drawer fronts and elegant square tapered legs. This chest has a beautiful patina and would make an excellent bedside cabinet with useful storage. Swedish circa 1890.